When it comes to IT management, downtime is a killer, and an expensive one. With the rise of the cloud, businesses are realizing significant cost savings through the increased Availability that cloud offers. It’s a severe blow to the bottom line when systems are down, which makes Availability all the more precious as a commodity. When looking at Availability, it’s important to understand that downtime is measured in $$$/hr lost while systems are unavailable. Time offline is measured in agonizing seconds, minutes and hours; not only is it infuriating, but it can result in the loss of thousands, hundreds of thousands, or even millions of dollars PER HOUR. Availability, then, is crucial to any company’s survival. So, the kind if IT management systems a company employs makes a world of difference. There’s the Data Center building. With Tier 3 and Tier 4, Carrier Class data centers, there are redundancies built in to insure that systems are continuously working in the most optimal environment possible. N+1 redundancy is a level of resiliency which means that for every component there is at least one independent backup component. So, these data centers have redundant power, redundant HVAC, redundant fire detection and suppression, onsite security and surveillance, biometric scanning, card access, and features like blended internet which uses multiple internet drops concurrently and allows it to seamlessly switch from one to another if there are any interruptions in service, thus insuring 100% uptime from an internet perspective. From a hardware perspective, there’s a difference between entry level systems and the Enterprise systems you’ll find in most clouds (you’ll always want to confirm this when considering a cloud provider). The features and redundancies offered by an Enterprise level cloud provide uptimes that exceed what is possible with many on premise systems. Because with Enterprise buildouts, there are features built into the hardware itself that help minimize downtime. These systems are built with a focus on what is called RAS. RAS stands for Reliability, Availability, and Scalability which are the primary benefits of the cloud. So, in a RAS solution there are enterprise capabilities built into the Processors (FFDC, Dynamic Sparing, Core Error Recovery), Memory (Page Deallocation, Error Handling), and the I/O subsystems (Enhanced Error Detection, Card Hot-Swap). Additionally, there are also features like split backplanes and Dual Disk Controllers, High Availability clustering support, Dynamic Firmware Update, and Automated Server Recovery/Restart. 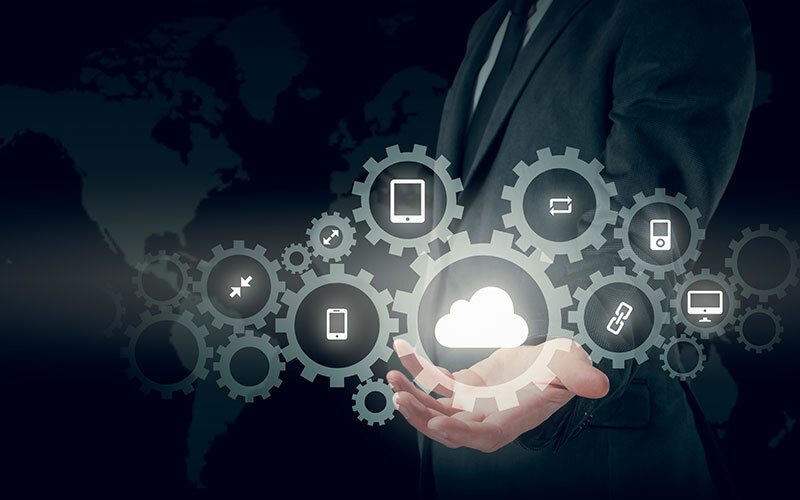 All of these Enterprise features found in most cloud environments will allow businesses to reduce their downtime and save them a ton of money. And IT Managers know that! The results are clear: Businesses enjoy a considerable and quantifiable increase in the availability of their systems and effectively stem the financial bleeding that results from downtime. It’s really that simple. It all boils down to one simple question: How does all this compare to your backroom?